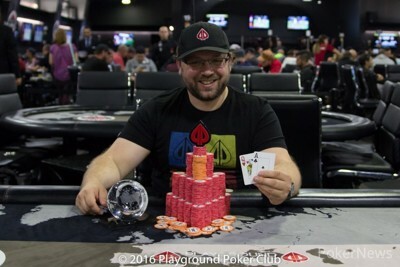 Alexander Matveev won event #23 of the World Cup of Cards at Playground Poker Club. He took home CAD $3,845 and the WCC trophy. There were 193 players that turned up to take a shot at the 6-Max $220 No-Limit Bounty tournament with $100 bounties. In the end, Matveev won the tournament after a three-way all in. When the players were four-handed they made a deal and each took at least $2,500. They decided to keep $1,000 up top. Here is the breakdown of the final table payouts. Matveev won the final hand, eliminating both Daniel Andelman and Robert Gariepy with aace-queen. Andelman had a weaker ace and Gariepy had pocket tens. Matveev hit the ace on the turn and had both players covered to win the tournament. 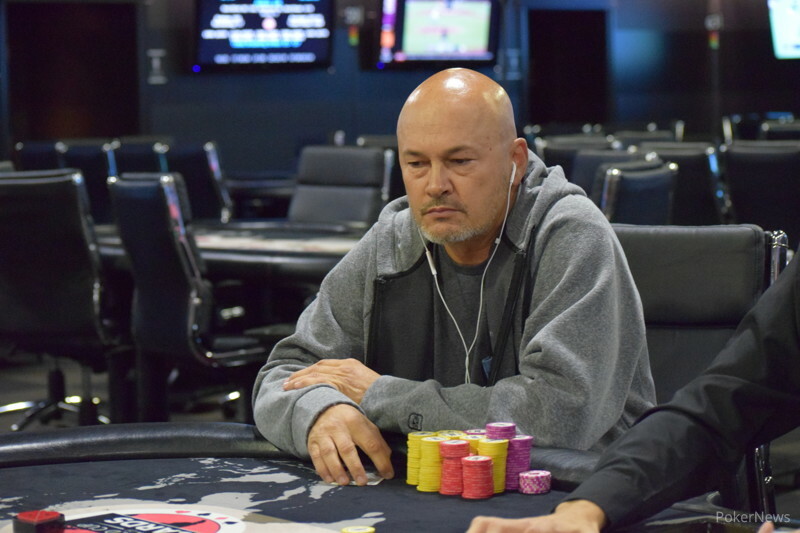 Andelman actually entered the final table with only 65,000 and took the chip lead after he tripled and then doubled in the first few hands of final-table play. He eventually finished second when he shoved ace-three on the button and started off the three-way all in pot that ended the tournament. 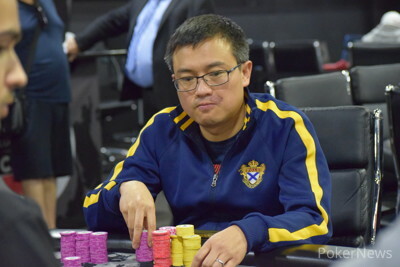 Pei Wu busted in fourth place with pocket nines against Matveev's ace-king, shortly after the deal was made. Michael Venne finished in fifth and Randy Khalil went out sixth. Khalil busted after he doubled up Gariepy in a huge pot. He flopped an open-ended straight draw and a flush draw against Gariepy's top pair. Gariepy held and Khalil busted shortly after. The seventh place finisher was Jeffrey Landry. Landry shoved the button with nine-high and got called by king-queen. The queen came on the flop and Landry couldn't catch up. He was the first player eliminated from the final table. This was event #23 of the World Cup of Cards, a month-long poker festival hosted by Playground Poker Club. PokerNews will be here throughout the festival, bringing you all the news, updates, and photos. Follow @pokernews on Twitter for live updates, Periscope broadcasts, and more. Also, follow PokerNews on Facebook and Instagram. Alexander Matveev won a three-way all in on the final hand of the tournament to eliminate Daniel Andelman and Robert Gariepy. Matveev had . Andelman had and Gariepy had pocket tens. The flop gave Andelman a straight draw, the turn gave both Andelman and Matveev a pair of aces and the river was a blank. Matveev won the hand with a pair of aces with a queen kicker. Pei Wu was eliminated in fourth place. As part of the deal the players made four-handed, Wu received CAD $2,577. The final four players have made a deal and will receive the following payouts. As part of the World Cup of Cards rules, players have to play for at least two percent of the prize pool. Daniel Andelman accepted the deal on the condition that they play for $1,000, so each player added $150 to the $400 already to first and now the winner will take home an extra $1,000 on top of the deal amount. Randy Khalil and Michael Venne have been eliminated. Four players remain. On the last hand before the break, Alexander Matveev successfully defended his big blind against a button raise. Daniel Andelman was on the button with the chip lead and Matveev managed to win a small pot with second pair, when the two both checked the river. Daniel Andelman came into the final table with 60,000 chips and tripled up on his first hand. He then doubled the next hand and is now cruising, well ahead of the remaining five players. 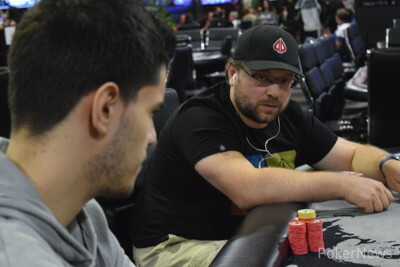 Jeffrey Landry was eliminated in seventh place when he shoved all in on the button with and Daniel Andelman called with . The board ran out and Landry was eliminated. He took home CAD $765 for his seventh place finish. Event #23: No-Limit Hold em 50/50 6-Max Starts at 1 p.m.